I'm being a lot more intentional with my book buying this year, thanks to my book buying ban of 2017, so despite wandering around a fair few charity shops over the past two months I haven't acquired any new books out of my own pocket. I'm also skint and, funnily enough, that helps too! I have, however, received a trade paperback as a gift and been sent a few books from publishers in that time so I thought I'd hop on and share a book haul because I know that you guys enjoy them. Luke and I had our 8th anniversary back in February and to celebrate he bought me the latest volume of Saga and acquired a horrific bout of food poisoning following our anniversary meal out. I've been invested in the horrifically messy world of Saga since 2015 and I'm not about to jump ship just yet. I set aside one hour per year to read the latest volume when its released and I always look forward to it. (Spoiler alert: I read and really enjoyed volume 8 but I'll save my thoughts for a different day). 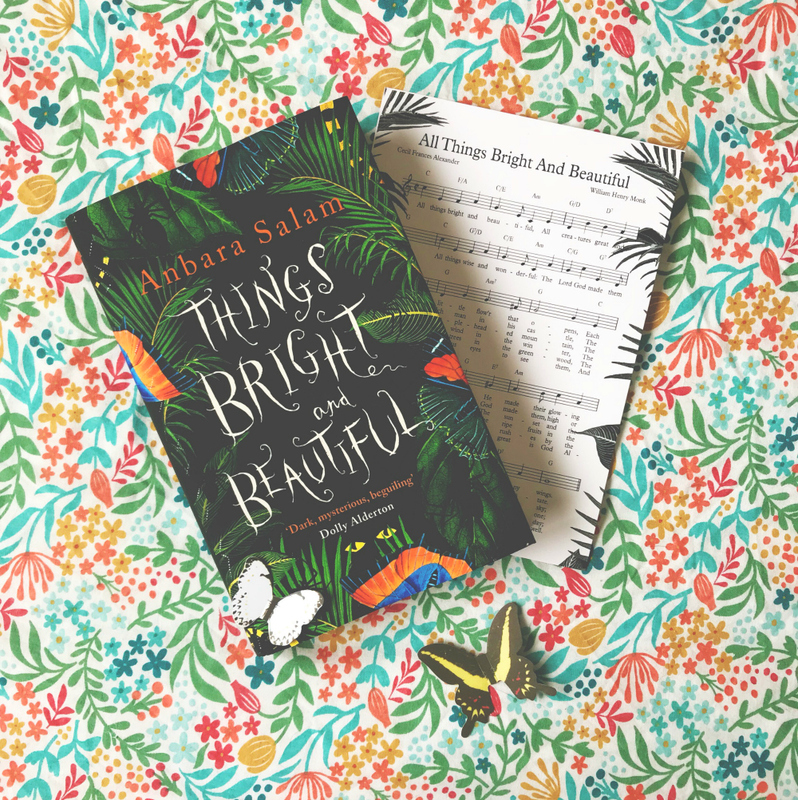 In a country teetering on the brink of civil war, two young people meet—sensual, fiercely independent Nadia and gentle, restrained Saeed. They embark on a furtive love affair and are soon cloistered in a premature intimacy by the unrest roiling their city. When it explodes, turning familiar streets into a patchwork of checkpoints and bomb blasts, they begin to hear whispers about doors—doors that can whisk people far away, if perilously and for a price. As the violence escalates, Nadia and Saeed decide that they no longer have a choice. Leaving their homeland and their old lives behind, they find a door and step through. Exit West follows these characters as they emerge into an alien and uncertain future, struggling to hold on to each other, to their past, to the very sense of who they are. Profoundly intimate and powerfully inventive, it tells an unforgettable story of love, loyalty, and courage that is both completely of our time and for all time. 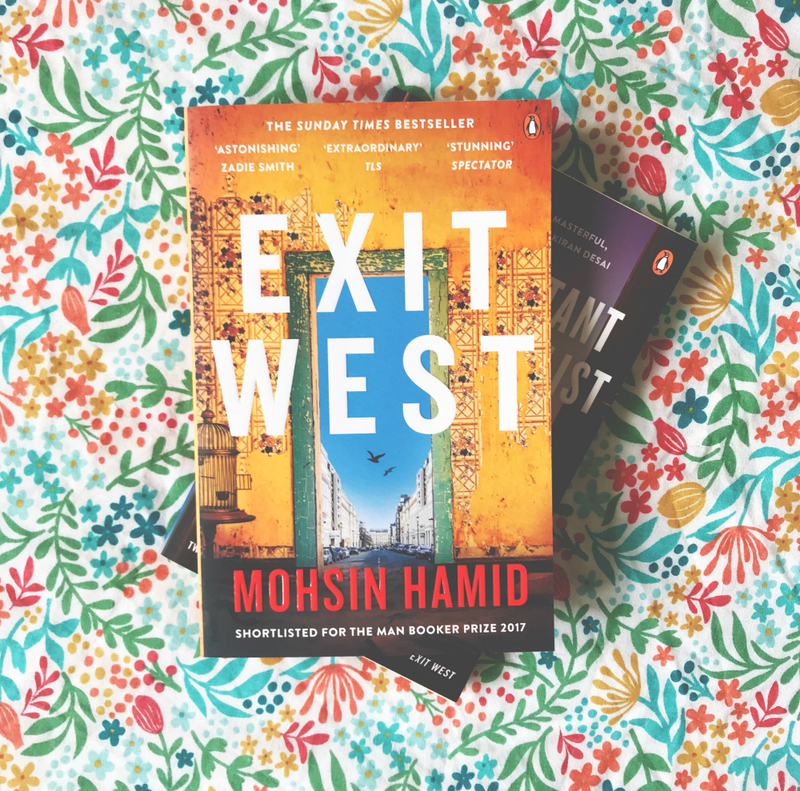 Penguin have been very good to me this year, as far as unexpected book mail goes, and back in February I received two books by Mohsin Hamid to celebrate the paperback release of the Man Booker nominated Exit West. Exit West did the rounds online last year but I only realised what it was all about when it turned up on my doorstep. I'm really into stories of displacement and the concept of home so I'm definitely intrigued. It's a slim volume so I imagine I could read it one evening over the next couple of months. At a cafe table in Lahore, a bearded Pakistani man converses with an uneasy American stranger. As dusk deepens to night, he begins the tale that has brought them to this fateful encounter. Changez is living an immigrant's dream of America. At the top of his class at Princeton, he is snapped up by an elite valuation firm. He thrives on the energy of New York, and his budding romance with elegant, beautiful Erica promises entry into Manhattan society at the same exalted level once occupied by his own family back in Lahore. But in the wake of September 11, Changez finds his position in his adopted city suddenly overturned and his relationship with Erica shifting. And Changez's own identity is in seismic shift as well, unearthing allegiances more fundamental than money, power, and maybe even love. 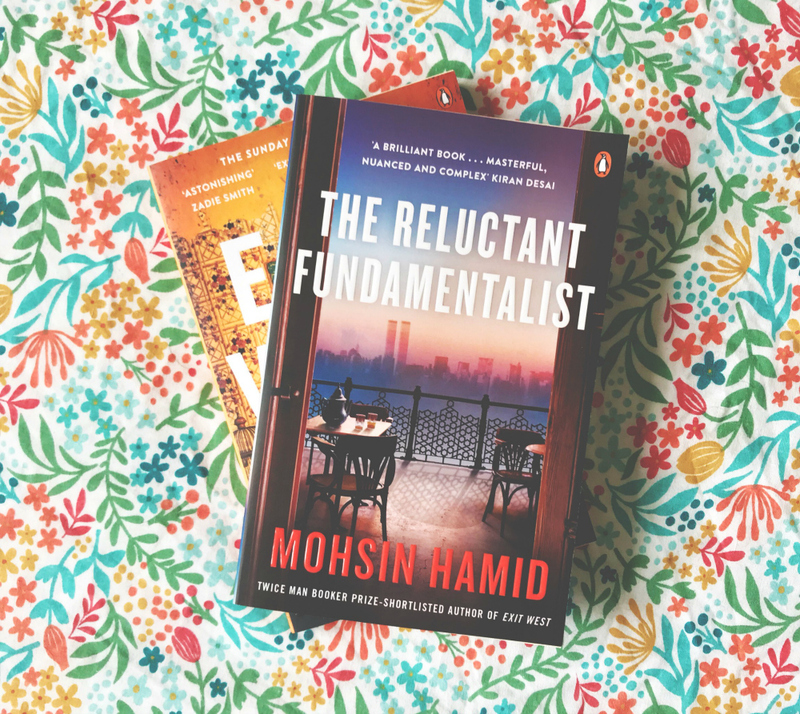 Penguin also chucked in Hamid's most renowned novel, The Reluctant Fundamentalist, for good measure! I'd definitely heard of this novel but, again, I didn't know what it was about until it arrived. I want to read more stories about immigration and this seems like a good enough place to start?! My Goodreads friends have rated it from 3 to 5 stars so I'm feeling hopeful. 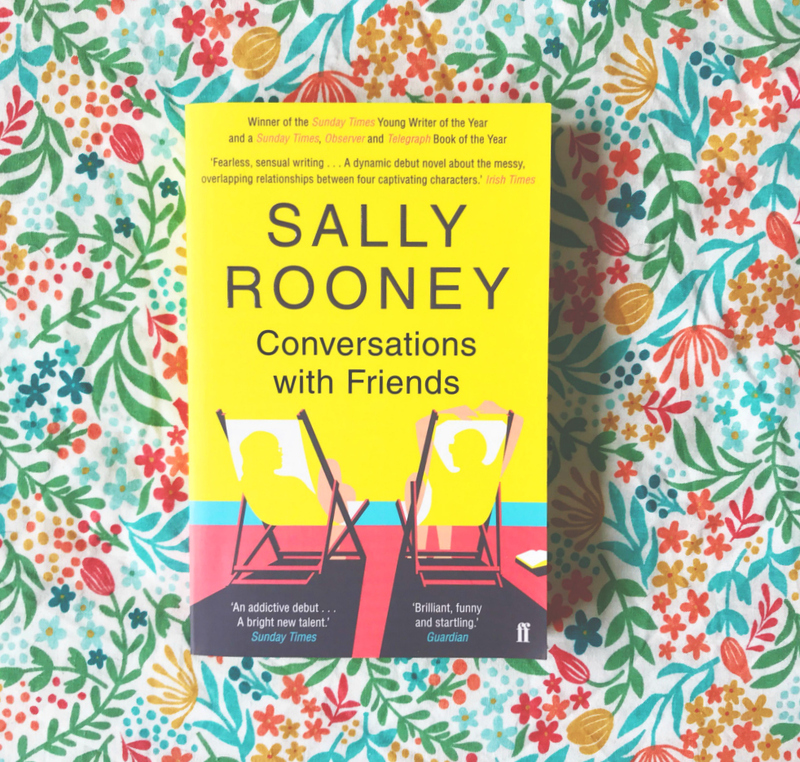 I also received the new paperback edition of Conversations with Friends, from Faber, another excellent publisher, which I'll pass on to a friend as I already own a copy. Complicated relationships, secret trysts, and worlds of possibility, what's not to like?! (Spoiler alert: I read this a few weeks ago and completely fell for it but, again, more on that to come). Death in Spring is a dark and dream-like tale of a teenage boy's coming of age in a remote village in the Catalan mountains; a place cut off from the outside world, where cruel customs are blindly followed, and attempts at rebellion swiftly crushed. When his father dies, he must navigate this oppressive society alone, and learn how to live in a place of crippling conformity. 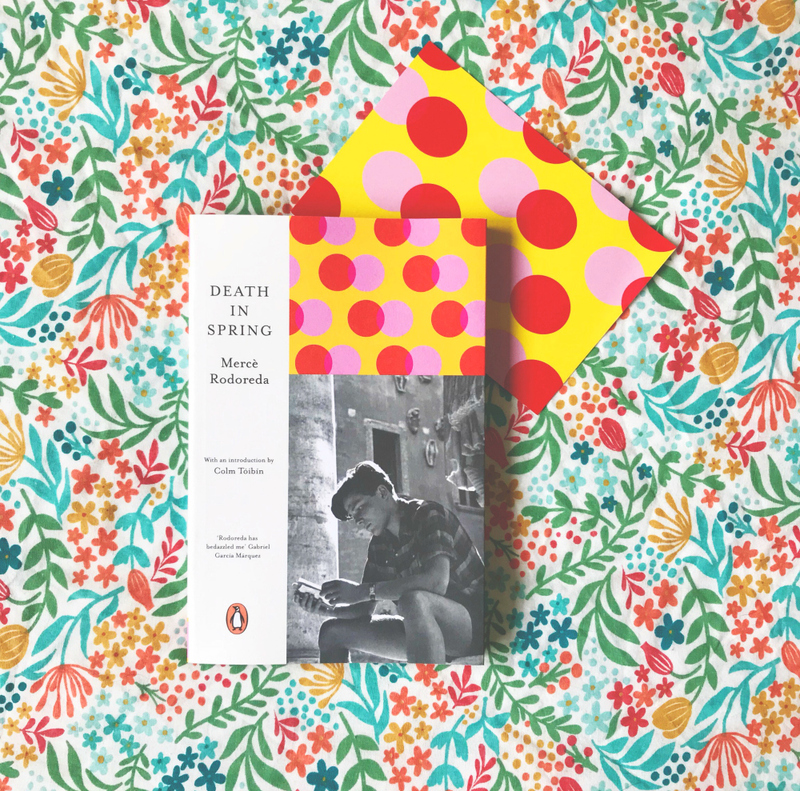 Penguin are releasing a new series to celebrate forgotten classics by European writers, each to be introduced by contemporary authors, the Penguin European Writers collection kicks off with Death in Spring. An allegory for life under a dictatorship, Rodoreda wrote this coming of age tale upon her return to Barcelona in the 1960s following her exile to France during the Spanish Civil War. I don't think I've read any literature from the Catalan region so I'm excited to delve in, especially as a small part of my family now lives there. (Side note: you can check out my guide to Barcelona whilst you're here). I've said it before and I'll say it again, Penguin absolutely ace their collections. The production is always second-to-none, with consideration for what not only looks great but feels great too. I can't wait to receive the rest of the collection throughout the year. 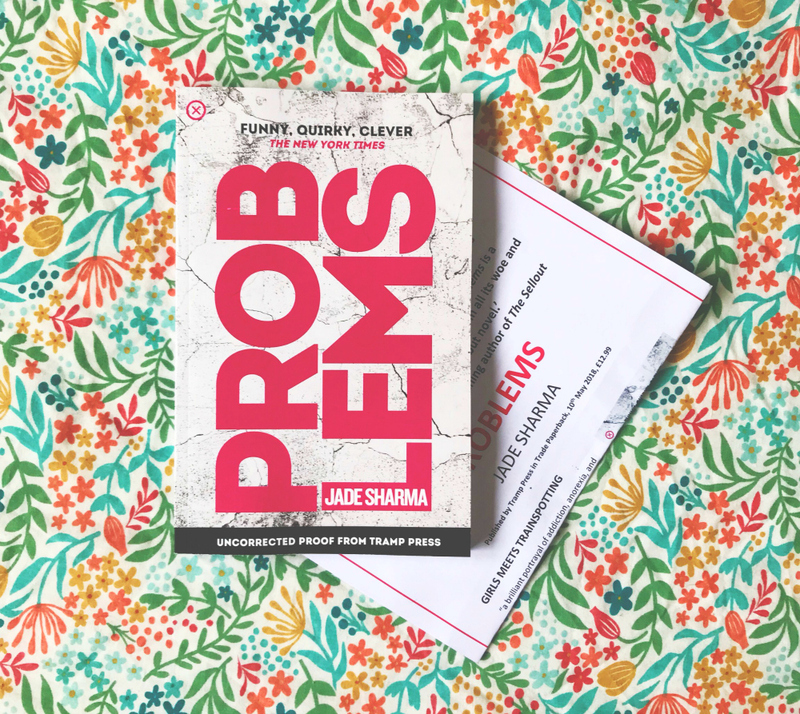 Problems introduces us to Maya, a young woman with a smart mouth, time to kill, and a heroin hobby that isn't much fun anymore. Maya's been able to get by in New York on her wits and a dead-end bookstore job for years, but when her husband leaves her and her favorite professor ends their affair, her barely-calibrated life descends into chaos, and she has to make some choices. 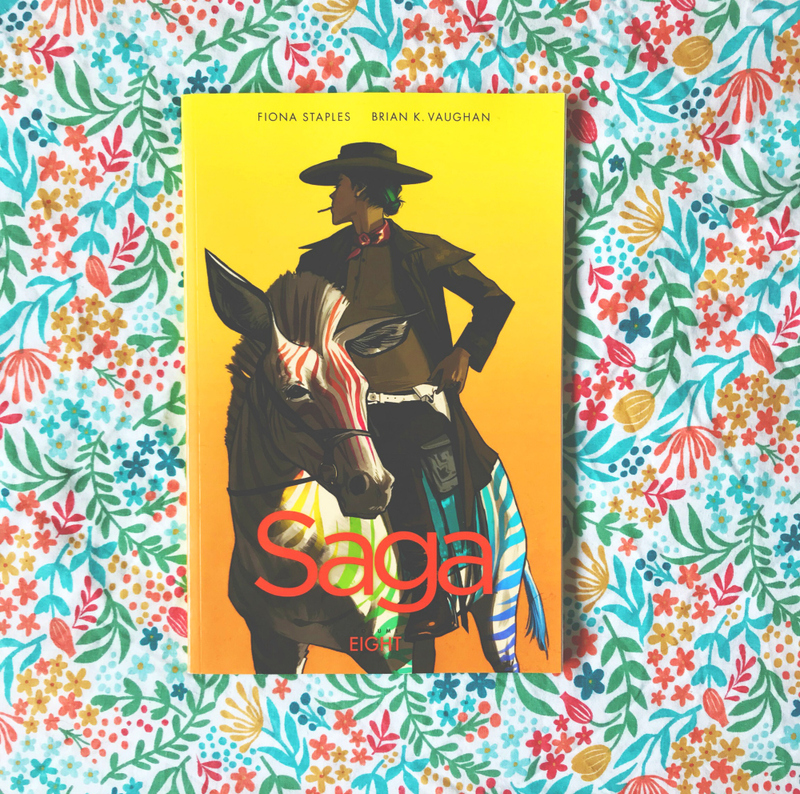 Maya's struggle to be alone, to be a woman, and to be thoughtful and imperfect and alive in a world that doesn't really care what happens to her is rendered with dead-eyed clarity and unnerving charm. This book takes every tired trope about addiction and recovery, "likeable" characters, and redemption narratives, and blows them to pieces. I'm really into books that chart chaotic and difficult lives, for whatever reason, and this book promises that in spades. I don't often accept books pitched to me but this one sounded interesting, especially as it promises to stray from the typical tropes often found in tales of addiction and recovery. Mission House was not built for three people. Especially when one of them won't stop humming. 1954, the South Pacific islands. When Beatriz Hanlon agreed to accompany her missionary husband Max to a remote island, she knew there would be challenges. But it isn't just the heat and the damp and the dirt. There are more insects than she could ever have imagined, and the islanders are strangely hostile. And then there are the awful noises coming from the church at night. Yet as the months go by, Bea slowly grows accustomed to life on the island. That is until an unexpected and interminably humming guest arrives, and the couple's claustrophobic existence is stretched to breaking point. Events draw to a terrible climax, and Bea watches helplessly as her husband's guilt drives him into madness. It's not long before Bea finds herself fighting for her freedom and her life. This was another unsolicited arrival that struck a chord with me. My only worry is that this novel will feed into the age-old trope of islanders as savages or 'other' so, hopefully, I'll be proved wrong. This sounds like an intense read fit for long summer afternoons so I'm going to set it aside ready for some sunshine. Talk about wishful thinking! If you could share one lesson from your life with every woman, what would it be? Stylist magazine has asked that question of remarkable women from the worlds of entertainment, politics, sport and fashion. 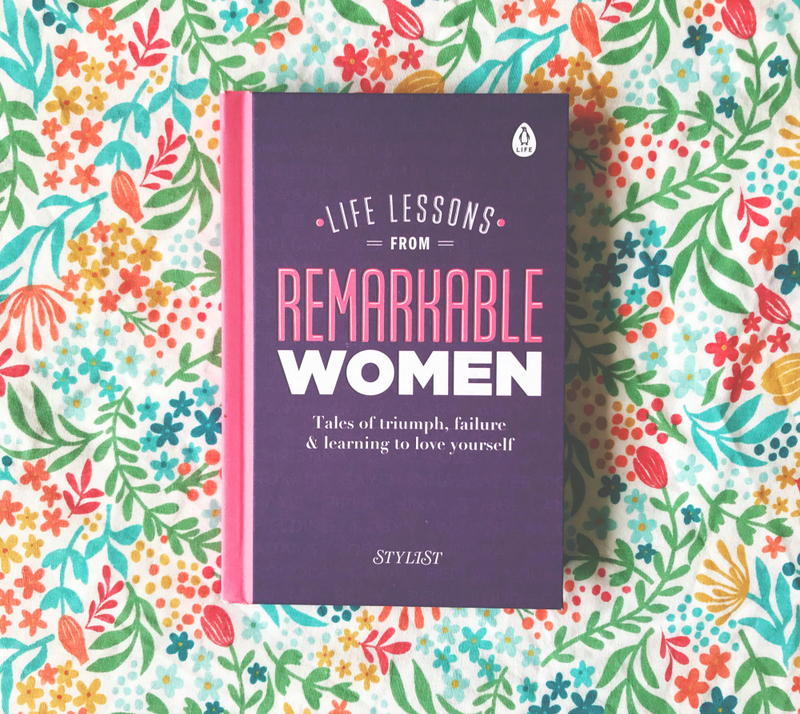 With honesty, wit and serious no BS attitude, their lessons address the challenges every woman faces today, from climbing the career ladder and finding inner fulfilment, to forging authentic relationships and overcoming life's setbacks. These are life lessons for women, by women. Lastly, I received a copy of Stylist's Magazine's Life Lessons From Remarkable Women. This volume is full of musings on a variety of subjects, from nervous breakdowns to unpopularity, from saying 'no' to grief. I imagine it'll be a good book to pick up as-and-when I fancy reading some mini essays. Essay collections are also great sources of inspiration so, who knows, I could end up sharing some life lessons of my very own in the near future! And those are all the books I added to my book nook last month! I'm going to work hard over the next couple of months to get my reading back to what it used to be. I've already got a few reviews up my sleeve so stick around for those. If you want to be notified of when I post, subscribe via Bloglovin or find me on various social media platforms. If you've not got anywhere else to be, stick around and catch up on my book blog posts. Or just flick through just my book hauls instead. *Books marked with an asterisk were sent to me by the publisher for consideration. I always try and put off reading Saga too soon after they come out, as if that's going to magically make it less of an eternity waiting for the next one. Never works. I'm buying it tomorrow. Sorry to hear about the food poisoning! Always seems to hit people when they're eating out for a special occasion doesn't it. I'm looking forward to your thoughts on Conversations, I'm seeing it everywhere and am trying to work out if it's for me. I really enjoyed Conversations and I didn't think I would like it as much as I did. I guess it's very relationship-focused - who we are in relation to other people as well as ourselves. Compulsively readable, weirdly. Enjoy! 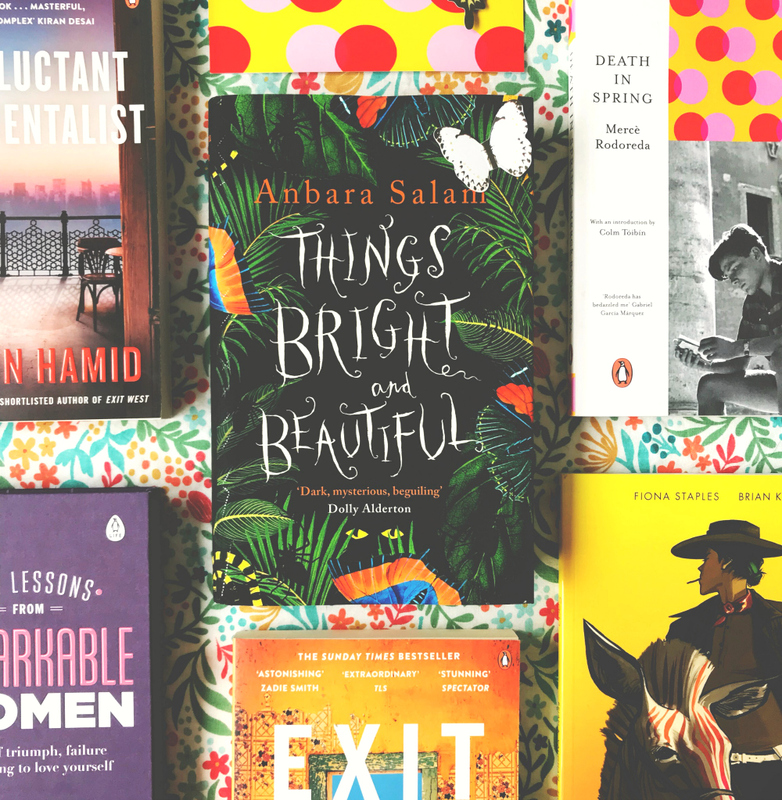 If you're ever stuck for inspo again, find me on Goodreads and check out my 'to buy' list. Lots of excellent books on there!